● Adopt & collect a wonderfully weird array of furry friends, based on real cats. Each cat has a fascinating backstory and behaviors specific to their personality. ● Match cats and customers with similar personalities together to maximize happiness, which unlocks more cattos for you to collect. ● Customise your cafe! The cafe is fully customizable from the walls to the floor. This gives you full control of creating your own space. Did you want to turn the cafe into a cute cat playground or a Gothic lair? It is completely up to you! 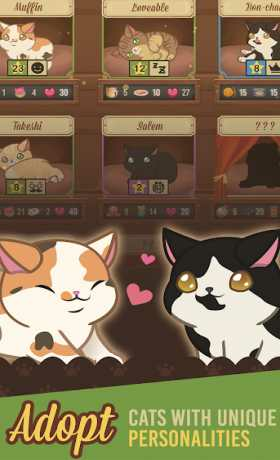 Bon Chan and Takeshi are two of the first cats we added to the game – they are both rescue cats, who now live in their forever home with our Lead Artist! Bon-Chan is a tiny kitty with a big sense of self-confidence. Since her adoption at the Cat Cafe she has found great happiness in supervising and napping with her loved ones. At least twice the size of his sister Bon-chan, Takeshi is a big ball of cuddly. He loves to eat, and is often caught taking a nibble from other cats food bowls. So come be a kitty collector, and watch your favorite furry friend meow, purr, blep, mlem, and be a happy little neko! 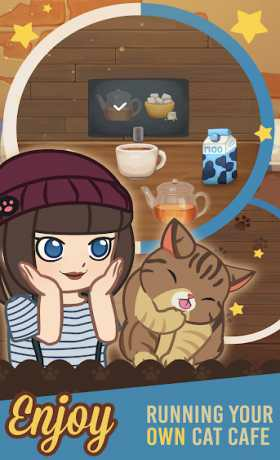 We hope you enjoy creating your own haven for happiness, full of cute kitty friends, at Furistas Cat Cafe! 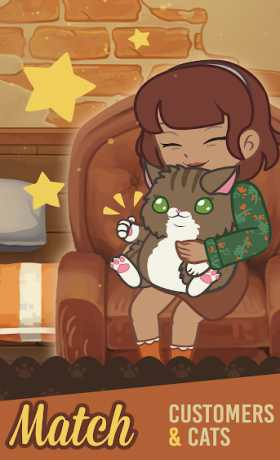 Furistas will prompt you to allow access to your photos, media, and files. This is to use the in-game snapshot feature to save images to your device, or share them with your friends.